Summary from Goodreads: Welcome, welcome to Caraval―Stephanie Garber’s sweeping tale of two sisters who escape their ruthless father when they enter the dangerous intrigue of a legendary game. 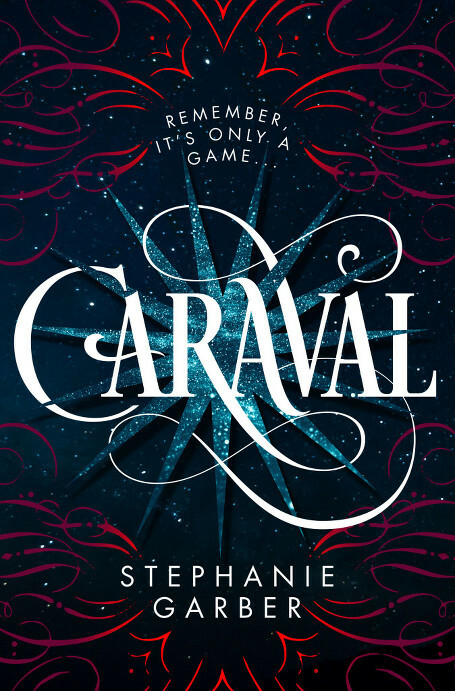 Caraval was an enchanting, mysterious book all about love and sisters (sign me up!). I loved the writing style and the setting was amazing. It’s hard to believe by reading this that it’s Stephanie Garber’s debut! The only reason I didn’t love this book was because I couldn’t really connect with the characters and it felt like it was lacking emotion. As young girls, Scarlett and her sister Donatella “Tella” listened to their grandmother’s magical stories about the wonders of Caraval, a performance but also a game of sorts. The two of them have dreamed of playing the game, but they’ve never had the chance. At a young age, Scarlett and Tella attempted an escape to Caraval. When their father caught them, he beat Tella to anger Scarlett. Scarlett kept sending letters to the master of Caraval, Legend, without a response. Finally, he sends a letter back containing three tickets, one for Scarlett, one for Tella, and one for Scarlett’s fiancee. With help from Julian, a sailor stopped on their island, they escape from their father and travel to a mysterious island to take place in Caraval’s game. I don’t even know how to describe Scarlett. She would do anything to save and protect her younger, more reckless sister, which I loved. Scarlett is much more realistic than Tella, who is a dreamer and loves to take risks. I didn’t love Scarlett, but I did love how fiercely loyal she was to her sister. The romance wasn’t amazing. Because the pacing in this book is pretty slow, it doesn’t feel like insta-love, but it kind of was. I don’t know. I liked it, but at the same time it wasn’t the best. Julian, the main love interest, was an interesting, complex character, but I just don’t know how exactly I feel about him and Scarlett. No doubt about it, the writing was the best part. Stephanie Garber has a beautiful writing style that makes you fall head over heels in love with this wonderful book. She weaved swoon worthy metaphors into an already amazing world. Seriously, I fell in love with her writing style right from page one. It helps that the world and game she created was as glittering and exciting as it was. This bring me right into worldbuilding. Garber created, like I said, one of the most glittering, exciting, and enchanting worlds I’ve ever read about. Caraval was full of mystery, magic, betrayal, lies, all mixed into one crazy game on a twisted island. Nights are like days and days are nights. There’s twists and turns everywhere you go, literally and figuratively. By literally I mean that this world is full of secret tunnels and unknown paths twisting everywhere you go. But what I really mean is that there’s plot twists GALORE in this book. I thought it was going to predictable and lame, but NOPE. Garber integrated crazy plot twists just when you least expected it. It’s impossible to see just what is coming next. So what I didn’t like most, was that the characters were hard to connect to. I had a hard time grasping Scarlett’s character. Though she was well written, I had a hard time connecting with her and other characters. There were some pretty emotional aspects of the book thrown around, but I couldn’t really feel with the characters on an emotional level. Rarely do I cry during books, so I don’t mean it like that. I just mean that I felt no speck of emotion in any of these scenes. Garber’s writing was gorgeous, for sure, but I do think she could’ve weaved more emotion into her enchanting metaphors and sentences. Overall, Caraval was a wonderful book. It was a bit lacking for me emotionally, but other than that, I loved this book! The writing and setting were the best parts, for sure! I just want to read a hundred books by Garber set in this world. But alas, I cannot. I don’t know if this book will have a sequel, but either way, I can’t wait for Garber’s next work! I haven’t heard of this book or author before now but it sounds like something that I’d really enjoy. Okay, first of all, this one sounds absolutely amazing + that cover is just *heart eyes*, so I’ll definitely pick it up one day, BUT IT’S A BUMMER IT WAS LACKING EMOTIONALLY. I read books to get totally invested and when a book doesn’t make me feel all the FEELS, I probably won’t like it. *sad face* BUT THERE’S HOPE – even though, it is disappointing that you didn’t love the characters. Glad you enjoyed this one, despite its flaws. Right? I fell in love with this cover the second I saw it. I totally agree though. 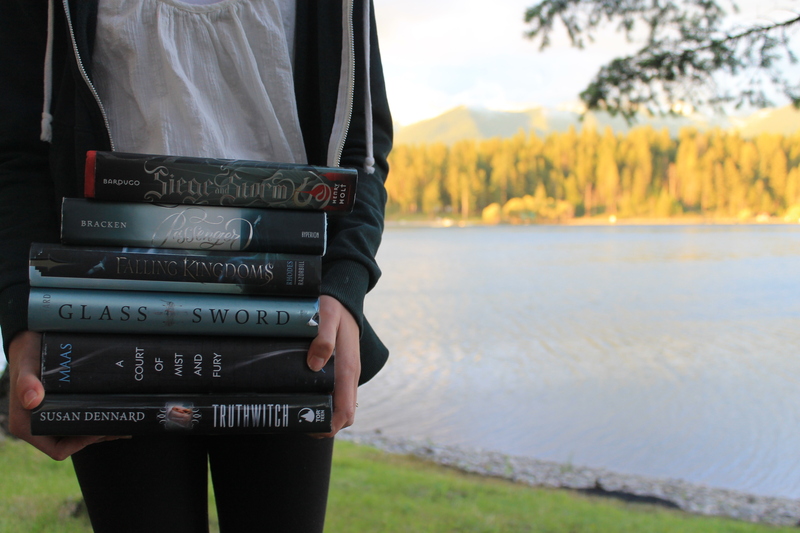 I want to feel all the feels when I’m reading! I don’t just want to sit there with a blank face as these characters go through some really terrible stuff. But it was still a great book, just lacking a bit character/emotion wise.